After a weekend of three big back-to-back shows, the Blue Devils remain undefeated. But, Carolina Crown is closing fast. Meanwhile, The Cadets leap-frog into third as we enter the run-up to the conclusion of Drum Corps International's 40th anniversary season. 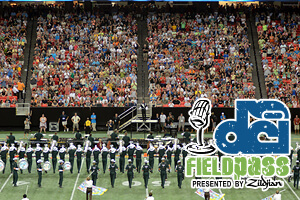 Dan Potter covers a huge weekend of drum corps action in a full-length Monday edition of the Field Pass presented by Zildjian.